Designing a website, it is good most of the time that you take help or inspiration from some other websites but what real help is getting an exact website design that you are creating for free from a design freebies website. That would be cool right, so today here we are providing you with some sources to get up to date with nice designs that are provided by some good websites. An initiative from the biggest website designers community – dribble, it is curated by the community of designers in there. Pixeden has both premium and free website designs but their main focus is on prints, vectors and graphics resources. 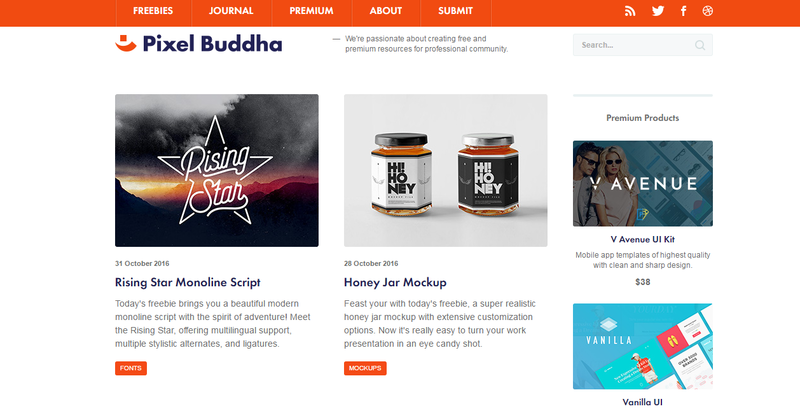 Starting off a new online business website, then Pixel Buddha is the place for you as it got the biggest database of free and premium website designs. Pixelmarket however provides mostly premium design resources but every week they provide a freebie to its users and who knows that freebie may be the one that you needed. Not many of people knows about this website, but they provides the most attractive html5 website designs for people and you can take inspiration from them the modules used in the designs. That’s all from us folks for today, enjoy your day designing. Keep Checking us for more.